If you’re extra privacy conscious, you might want to pay for your seedbox using Bitcoin. 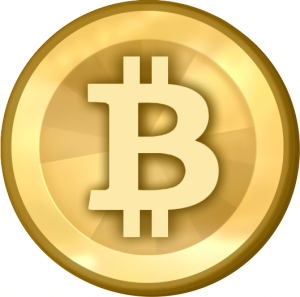 Bitcoin is a virtual currency that can provide anonymous transactions. These transactions should be untraceable to you. We won’t go into how Bitcoin works exactly. but check how Bitcoin works for further explanation. Note: Are you confused, do you not know what a seedbox is? Then please, read our article What is a seedbox?. Torrent users should be savvy with their privacy online. A seedbox is a great way to add a layer of anonymity between yourself and prying eyes. Paying with bitcoins is another way to obscure your identity more. RapidSeedbox – Very high performance secured dedicated VPS Seedbox. Stellar customer support. YourSeedbox – A good value provider that will respect your privacy. They offer 12 different plans, shared and dedicated. The plans are mainly 100Mbps with one at 1Gbps. DediSeedbox – Instant Setup, unlimited bandwidth and comes with the ability to stream your media files directly from the browser. Seedbox.IO – Good customer support, great network and solid service stability. You can compare, sort by price, filter by features (such as bitcoin) and more. Use the checkboxes and filters in the left sidebar to find the specification you need. Then, sort and filter the table using the table headings and the search box. This should help you stay anonymous whilst torrenting. Are you a seedbox provider? Seedbox Guide is looking for trials to seedbox options so that we can accurately review plans. Do you accept bitcoin and you don’t find yourselves on our comparison tool? contact us. Comment below and let us know what think about seedboxes and Bitcoin.